Based on volume sales, Widmer Brothers Brewing Company is Portland’s top banana. Thankfully, resting on its laurels isn’t part of the game plan. 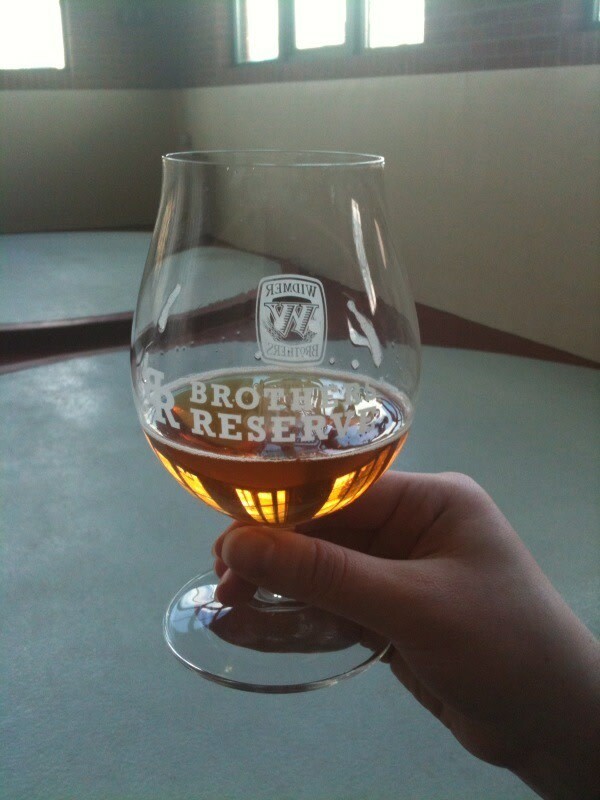 The Widmers dropped their newest reserve release, Prickly Pear Braggot Ale (a strong follow-up to last fall’s Cherry Oak Doppelbock) at a brewery tasting event on Tuesday, and I was fortunate enough to be among the assembled sippers. Coming in at a cool 10 percent alcohol content, this sweet brew goes down easy—just make sure you have a designated driver or cab fare. The brewers (Joe Casey, Ben Dobler, and Doug Rehberg) have a track record of experimenting with honey, so a braggot was agreed upon as the next logical step. As for the inclusion of the intimidating-sounding prickly pear, brewmaster Casey is from the Southwest. While he was browsing through a list of possible ingredients, the prickly pear juice jumped out as a natural choice to blend with the honey and make the proposed ale more complex. Though the braggot tastes mainly of the spicy-sweet—almost medicinal—honey from Montana, the prickly pear juice lends the brew an earthy bite that balances out the sweetness. 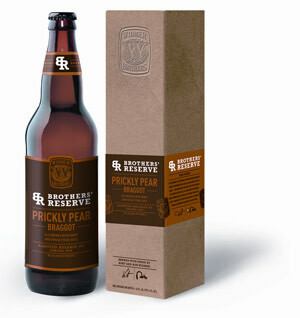 The brewers discovered that, on its own, the prickly pear juice looked and tasted very vegetal, almost like V8. So they opted for a red prickly pear hoping that it would affect the color of the beer, and ended up with a glass of burnt orange beauty. So just what is a “braggot” anyways? It’s half mead and half ale. Technically, a braggot should have at least 50 percent of its fermentable sugars come from honey. 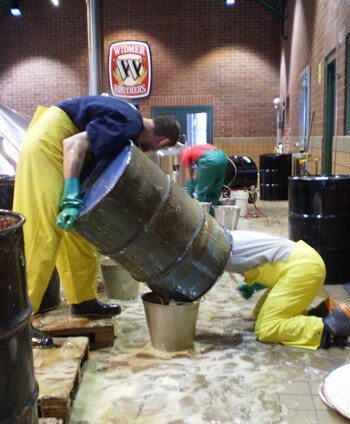 However, in order to make this a legal quaff, the Widmer crew had to get as close to 50 percent honey as possible without going over. In that case, the tasty brew would be considered a wine mixed with a beer, which isn’t legal. 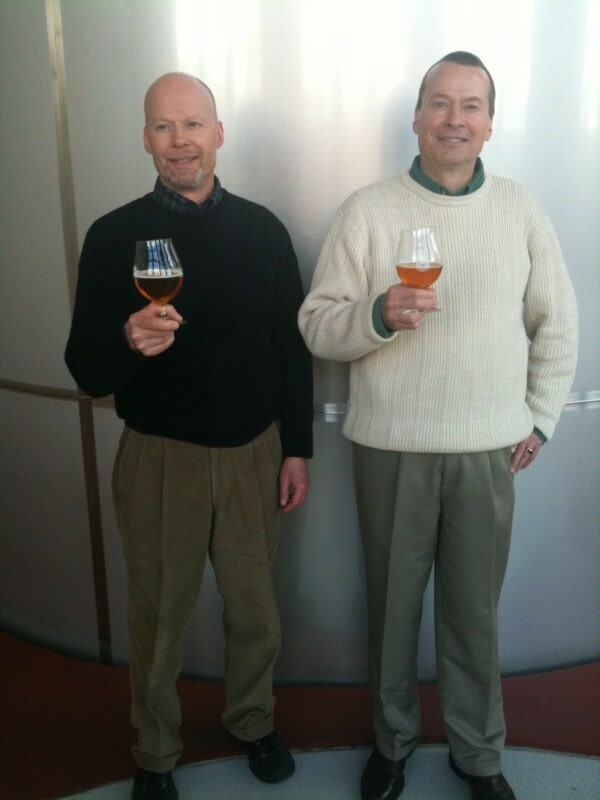 Though they don’t pretend that the braggot will be every drinker’s cup of (alcoholic) tea, Rob and Kurt Widmer are well aware that discriminating beer fanciers appreciate their offbeat brews. With their own roots deep in home brewing, the brothers still enjoy playing mad scientist with exotic ingredients and recipes. And they sure had fun with this one: the brewers found themselves mired in two inches of honey during the mixing process. “It was sweaty, sticky fun—for about the first hour,” said brewer Ben Dobler. You can check out the process on YouTube. And if you need another excuse to tip this lovely limited reserve, hear this: some studies show that prickly pear might even lessen the effects of a hangover. Rob and Kurt couldn’t confirm that their new brew was actually hangover-free, but they welcome any input from willing participants. You can score your own bottle at a local higher-end bottle shop like Belmont Station on SE Stark or John’s Market on SW Multnomah for $9.99. And if you really like it, stash a couple bottles away for a later date: mead notoriously lends itself well to age.